Aaaand the time is up! It’s already the end of January, the first month of the new year is over. How was it? Did you start a new good habit? Or did you break your new years resolutions on the second day? The Tree Tree House is soo close to being finished. 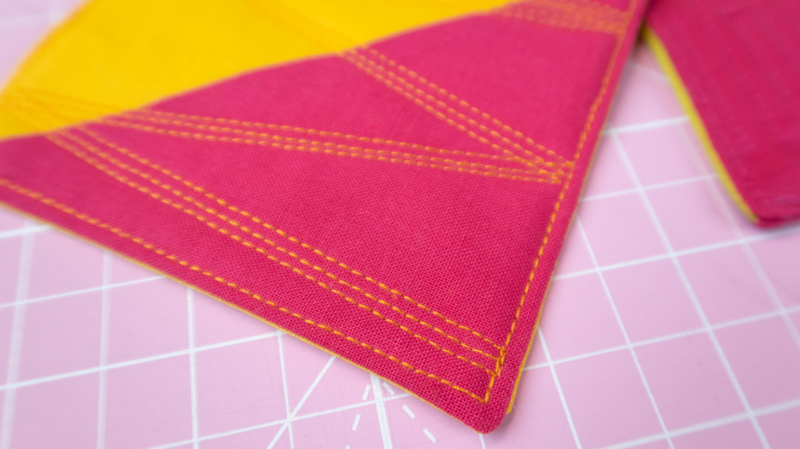 I’m stitching line after line forming all these pretty triangles. A few more stitches and then I can add the binding, the final piece of a quilt. But I must say that it’s very tempting to just take is home and use it as it is. A binding is not strictly necessary to make the quilt cuddly. ;) The last mile is the longest they say right? This beautiful backing fabric is by Tula Pink. It’s 100% cotton, but it feels so soft! My very favorite fabric to use on the back of a quilt. enter your url, or click on ‘upload’ to upload a picture of your project. 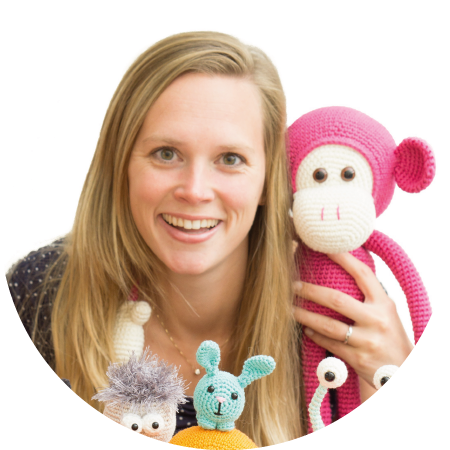 I’ll leave the tool open until Sunday so you will have enough time to enter for the give away of the Crochet in the city book. I’ll announce in this blog post who wins this month’s price. Yayy! A whole new year ahead of us! A new year to finish our WIPs and to find inspiration for new projects. For the inspiration part I recorded a video for you. It’s about all the things I get inspiration from for new ideas. 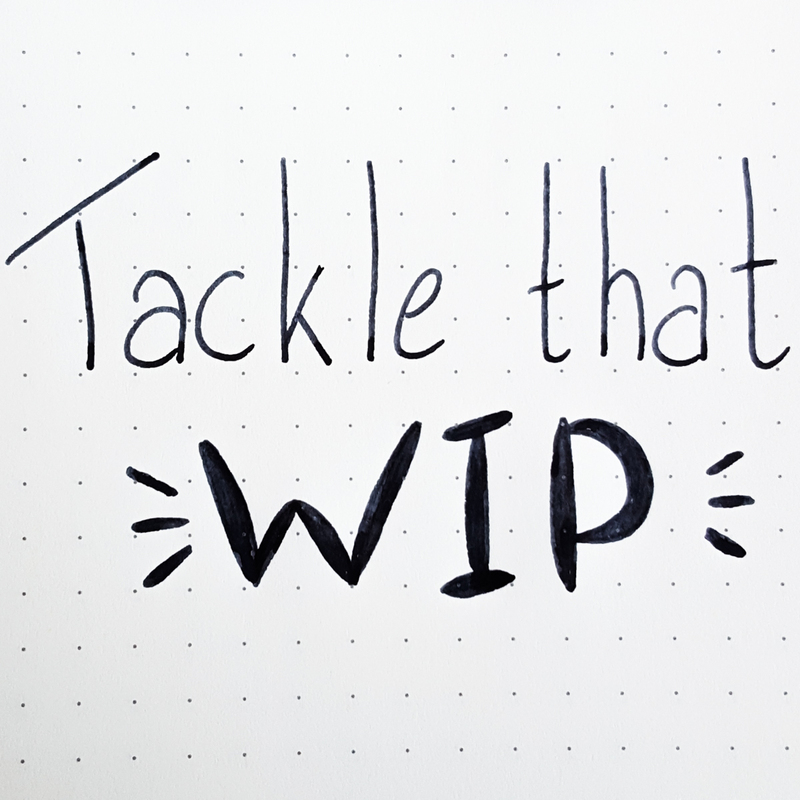 For all the WIPs we want to finish we have our ‘Tackle That WIP’ movement! Last year we started and this year we’ll continue with it. I have awesome prizes in store for you. 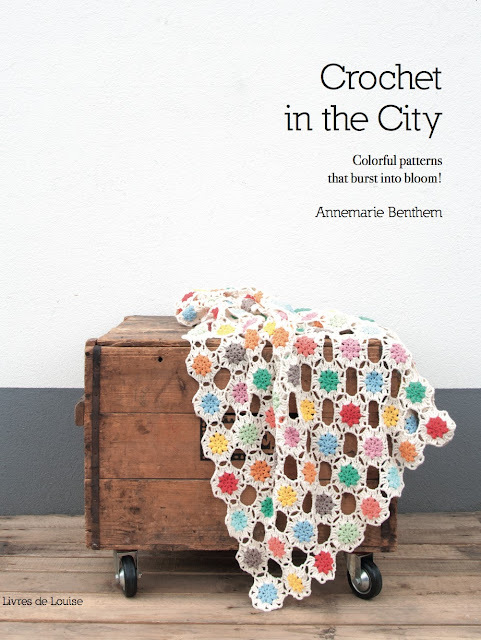 And this month I get to give away the Crochet in the City Book by Annemarie Benthem, sponsored by Freubelweb. Whoop whoop! That book is so beautiful, aand it’s written in English and Dutch. Soo link up your WIP below and set a goal. Last month we had three finished WIPs, so I let my husband pick a number from 1 to 3 while I was writing this. He said ‘two’, which made Youna last months winner. Congratulations! I looove your Christmoose! You’re winning a goodie bag with crochet or quilt goodies. I’ll send you an email to get your details. 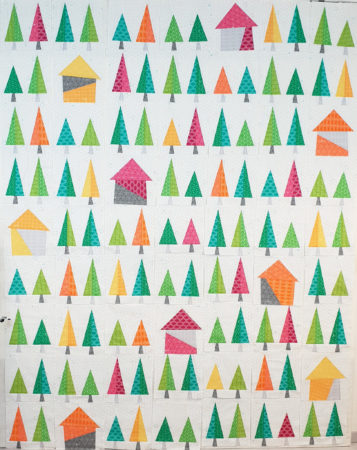 My WIP this month is the same as last month, the Tree Tree House quilt. I just joined all the blocks together and I want to quilt it and add a binding to it. So completely finishing is my goal. Let’s do this! Post a picture of the WIP you want to finish this month. Enter again at the end of the month to have a change to win this months price. Please do check out some of the other WIPs and let’s encourage each other! Woww! It’s the end of 2018. What a wonderful year it has been! In my latest video (this one) I did a short review of 2018. There were so many things to be proud of, and many things to learn from. I can’t wait to see what the new year has in store for me. As you could see in that video as well, I’m still working on my Tree Tree House quilt, so I didn’t finish it completely. BUT I’m still super happy that I listed it for my TTW of november/december since I’ve made such progress on it! How did you so on the November/December challenge? I saw lovely projects on the Instagram. Looking forward to see who accomplished their goals! This is how far I got on my Tree Tree House quilt. Next I need to sew all the blocks together and quilt it. 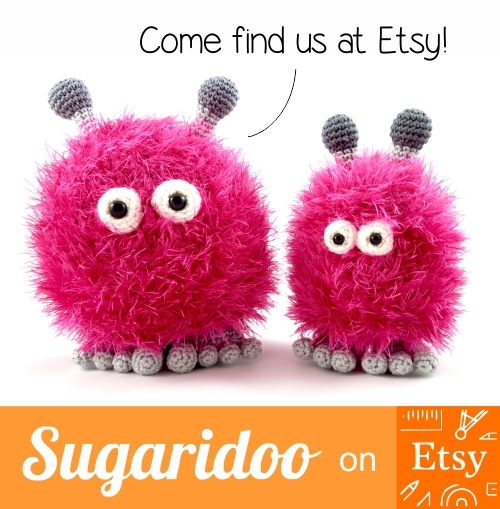 Please don’t link to Etsy stores, giveaways or other linky parties. Have a lovely lovely new year! Yess, I sat behind my sewing machine again and did what I love most. CREATING. It feels so good to make something! Not thinking about ‘It should be perfect’, not thinking about ‘I’m not sure how this will turn out’. Just taking the time to try and to create. Most of my YouTube videos are about thing I’d like to try, things that I would like to learn. I thinks it’s so much fun to learn together. That’s why I love making those video’s. Not because I want to tell show you exactly how you should do it, but I hope to inspire you to try those things yourself. So here is my recipe for the coasters I made this week. You can check out the YouTube video or just read on. 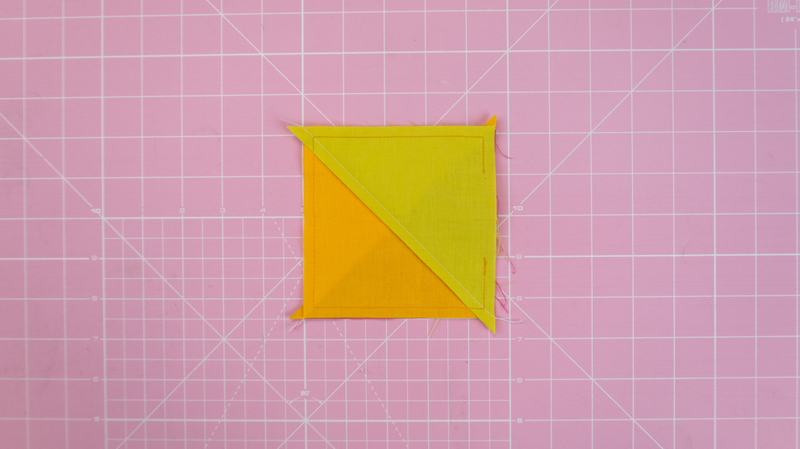 First thing to do, cut 5″ squares from your fabrics. Plade two squares on to of each other, right sides facing. 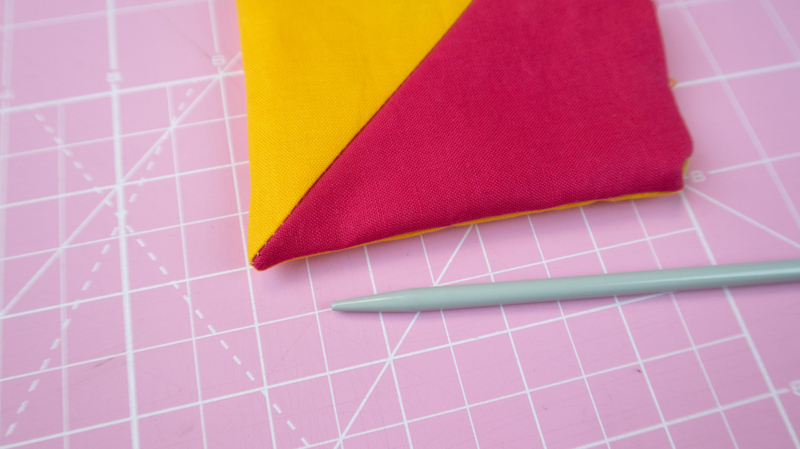 Draw a diagonal line and sew with a 1/4″ seam allowance on both sides of the line. Cut on the line and press the squares open. You now made two squares from half square triangles. Now take two squares and placer them with the right sides facing each other. 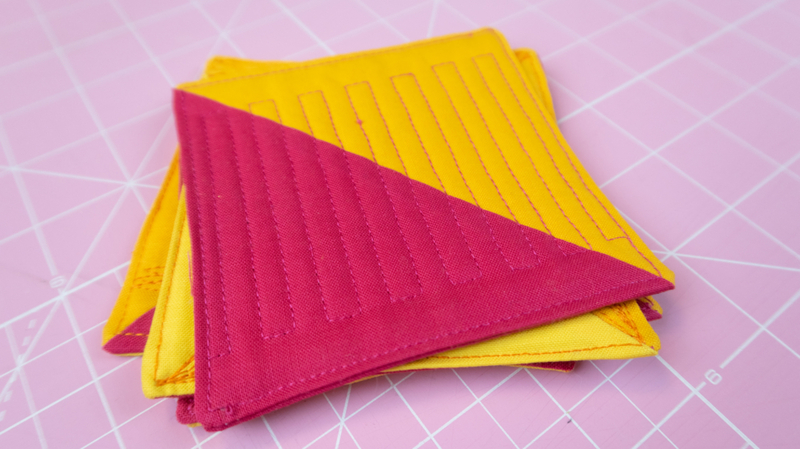 Sew around the outer edges and leave a gap open to turn the coaster in side out. Trim off the corners. This will help make your corners more crisp. I used a knitting needle to push my corners out. Now insert a piece of 4″ batting like a duvet in a duvet cover :) The knitting needle might come in handy again! And then your ready to quilt. I stitched with a nice contrasting color. 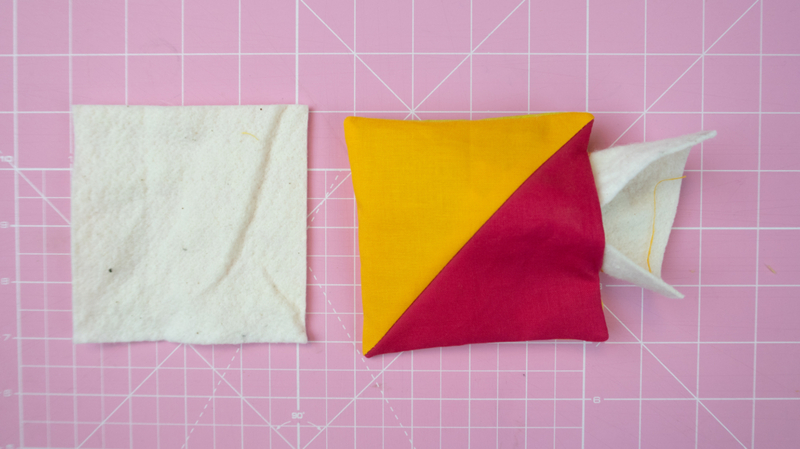 You can start by stitching all around to outer edge to sew the hole close. 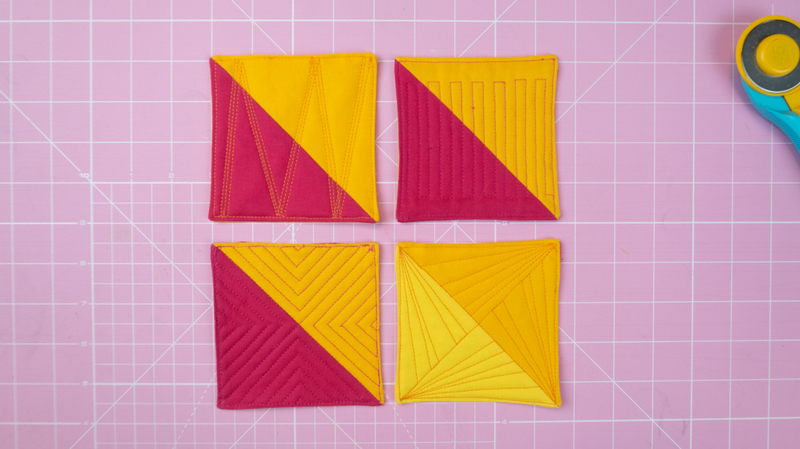 The pick a design from the ebook and start making some fun coasters! I used designs #86, #44, #54 and #91. I love how those designs turn out in such small quilting projects. 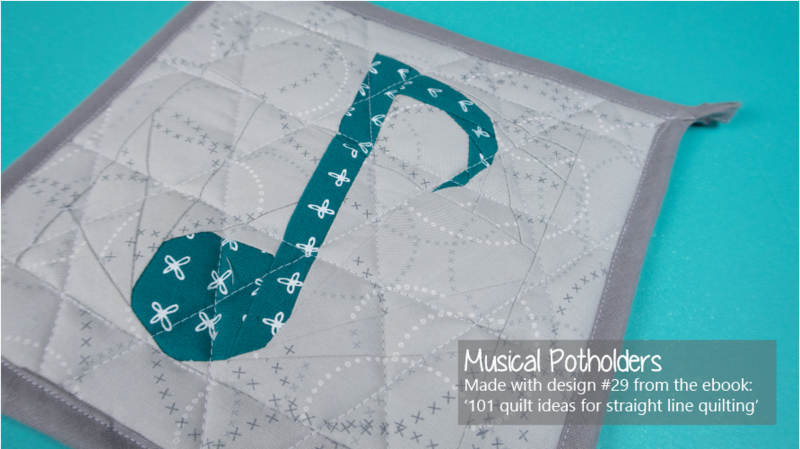 I would looove to see your coasters or other projects where you use the quilt designs from the ebook. Tag me @sugaridoo or use #SugaridooQuilting so I can find you. Thank you so much for visiting. I’m super happy to have you here. Yayy! We finished the first round of Tackle That WIP: 39 projects were started, 29 got finished. How awesome is that! I love how we can follow each others progress via the #tacklethatwip hashtag on Instagram. Well done Beth! Congratulations and thank you so much for joining. I’ll get in touch with you so ship the fabrics or yarn your way! How did my WIP projects go? Well, I have to be honest.. In October I ALMOST finished the Sugaridoo Sampler quilt, just a couple more stitches and then it’s done. But I did finish the orange and grey Charlie the cat from my pile of WIPs. So even though I didn’t completely reach my goal, I’m still very happy with what I got done! 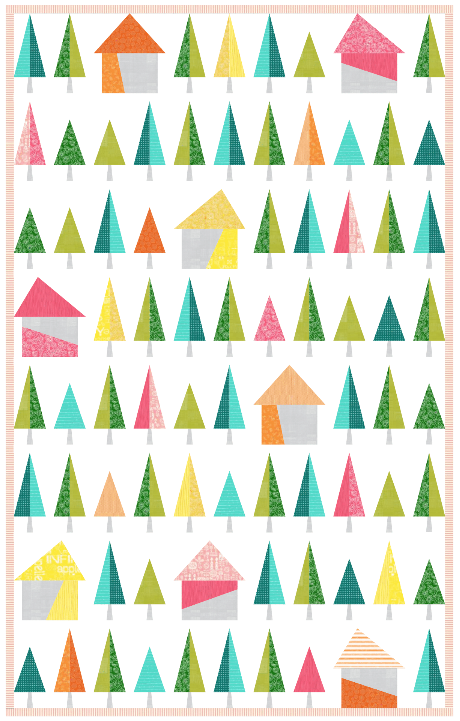 This month I would like to make my ‘Tree Tree House Quilt’. I designed this quil a long time ago. I’ve selected the fabrics, and started cutting, but didn’t sew any sewing yet. So that would be a very fun project to work on! My sister in law saw this digital sketch some time ago and already started on making the quilt. She couldn’t wait for me to finish the pattern. She’s making it much smaller than I had intended. I saw her first rows of block on our quilt retreat the other weekend and it’s going to be so cute! It is today!! The first of October. The day that we are starting our WIP movement together. There were soo many positive comments after mentioning that I wanted to start something to finish our WIPs together. Awesome! I’m super excited that you are with me. Since so many of us have multiple WIPs, and since it feels so good to finish a WIP every now and then I wanted to start something so motivate each other. So, every month I’m going to host #TackleThatWIP here on Sugaridoo. (Thanks Liesbeth for this awesome hashtag suggestion!) This will hopefully give us some accountability and support for the projects that we really want to finish. 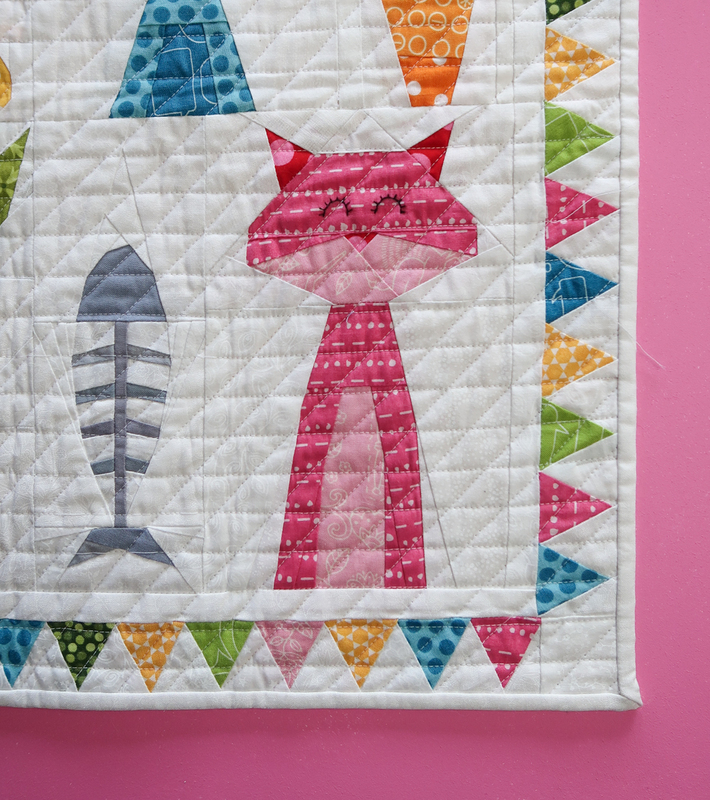 It doesn’t matter if you only need to finish the binding of a quilt, if you need to sew together an amigurumi or if you want to set a milestone for your own project such a finishing a quilt top or adding 10 rows to your crochet blanket. It all helps tackling your WIP right? I will put a blog post online on the 1st of the month (that’s this post). 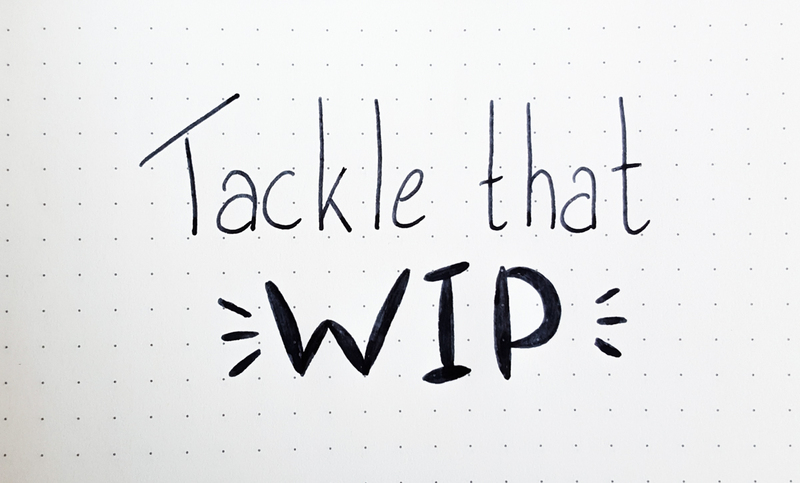 Enter a picture of your WIP with your goal during the first 4 days of the this month. In the last week of the month I’ll post a new blog post where you can enter a picture of your WIP when it’s finished. You have until the last day of the month to enter your results of the month when you reached your goal. Every finished WIP goal (that was announced in the beginning of the month) will give you one entry into that months give away. Are you excited? I know am! Did you say something about a giveaway? Yess, there will be a price each month. A finished WIP makes room for a new one, right? This month I’ll be the sponsor of the give away. For the following months different shops will sponsor the price for #TackleThatWIP. 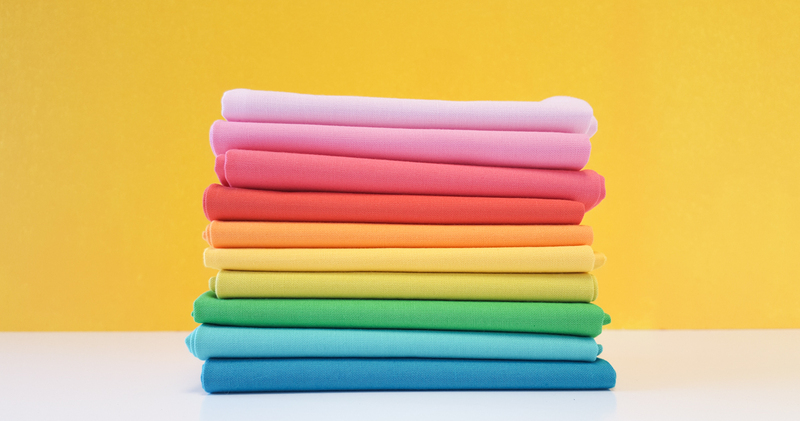 This month’s winner can choose between a rainbow fabric bundle with Kona Solids by Robert Kaufman or a rainbow yarn collection with Musthave 100% cotton yarn by Yarn&Colors. You can link to a picture of a project. You can do so from your blog, your instagram or flickr. If you have questions about posting, let me know in the comments below so I can help you out. This month I would love to work on the Sugaridoo Samper. 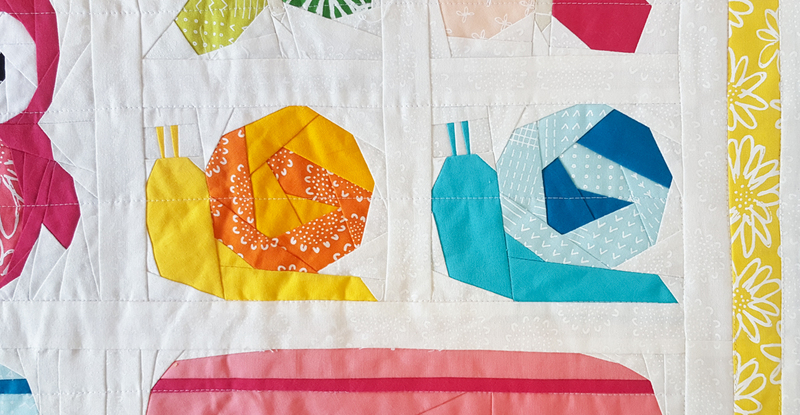 I still need to add details to the figures in the quilt, eyes on the animals, air bubbles for the fishes, a needle for the sewing machine, etc. I’d be so happy if I could finish that this month! Next month, on the 1st of November, I’ll announce the winner of the give away. (Which will be picked randomly with help ot random.org) And also I will put some of your beautiful projects in the spotlights. Good luck with picking your project for this month. Can’t wait to see what you will be working on! 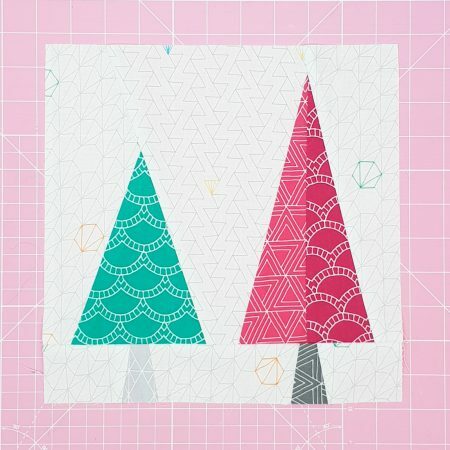 Want to give foundation paper piecing a try? But you’re not sure what you’ll need to get started? Then this one is for you. Today I’m sharing my favorite tools for paper piecing, some budget options and share my all time favorite tool: birthday cards. Quite a few items on this list would be considered standard quilting tools. So I’ll concentrate on the ones I specifically use for paper piecing. 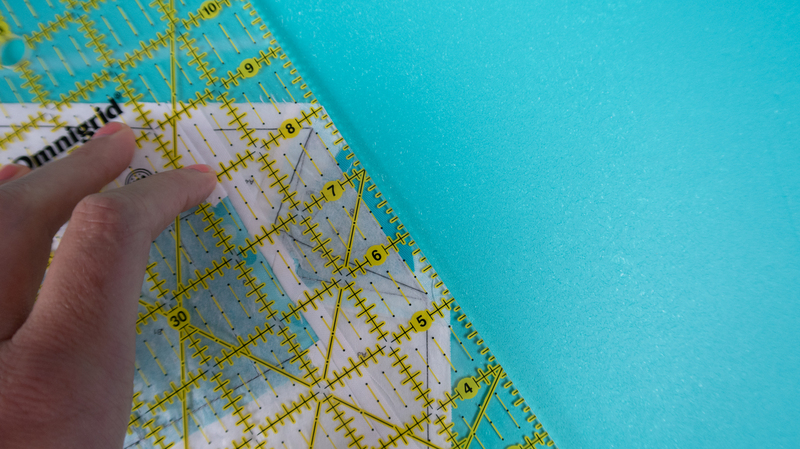 Are you new to paper piecing? 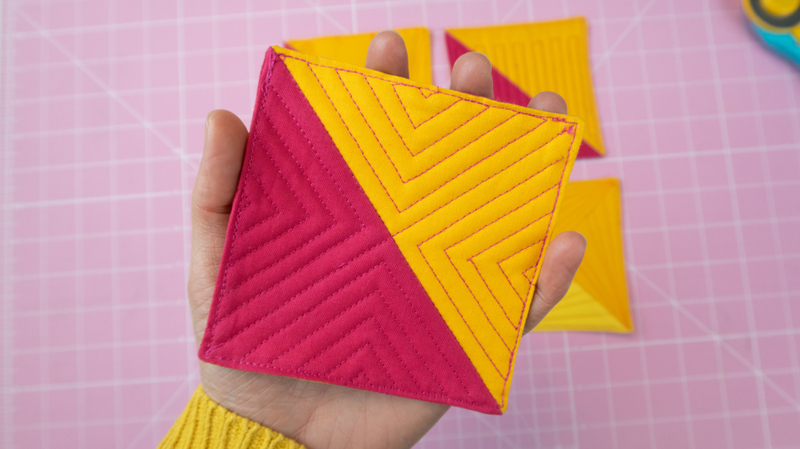 Check out my video tutorial on how to do foundation paper piecing (it comes with a cute heart paper piecing block). 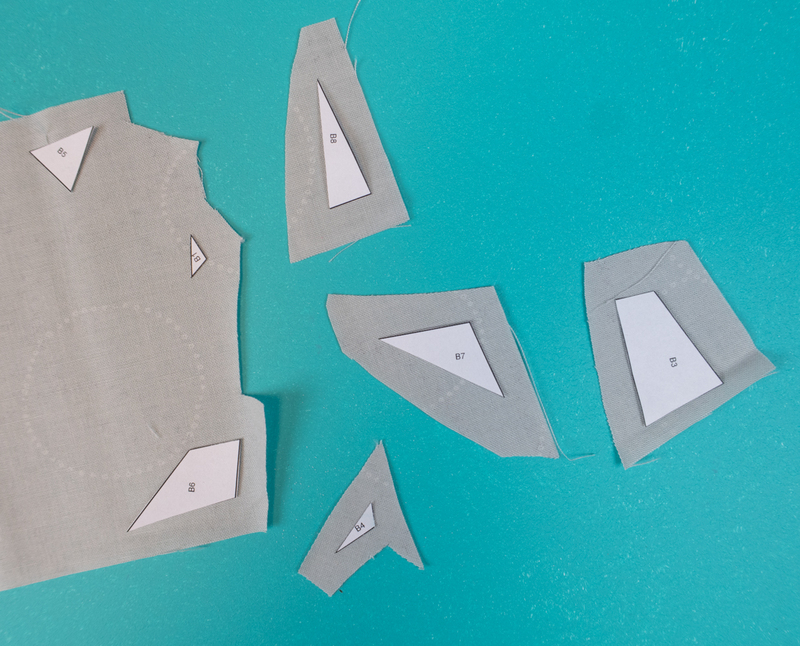 The first thing I do before I start cutting my fabrics is cutting paper templates. I know sometimes when foundation paper piecing is thaught you learn to cut a square of fabric that is large enough for the piece you need to sew. 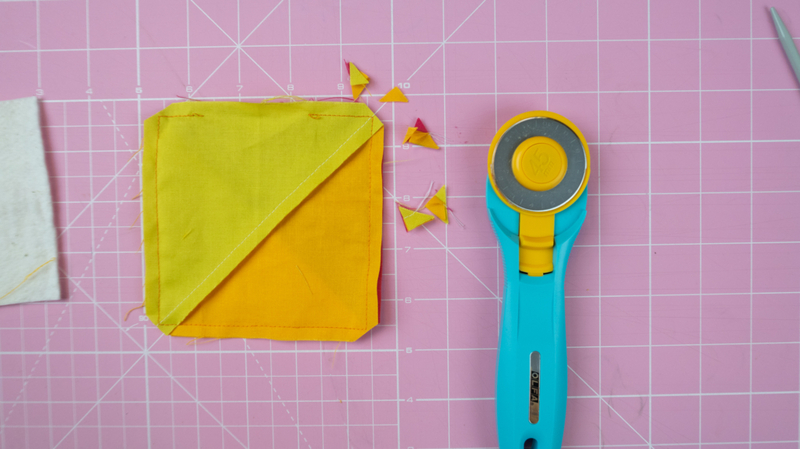 No templates needed, easy to cut, quick for sure, but it also means you’re using a lot more fabric than necessary. So I cut paper templates. It’s a bit more work, but it allows me to fuzzy cut when I want to and to be very efficient with my fabric. Just print an extra copy of the pattern to cut in pieces. 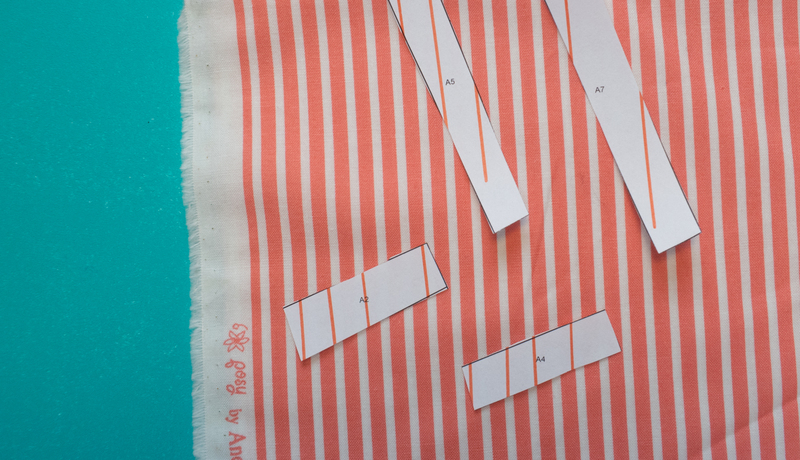 When you’re working with directional fabrics you can even mark your paper templates with lines. Those lines let you know the direction they need to be cut from your fabrics. 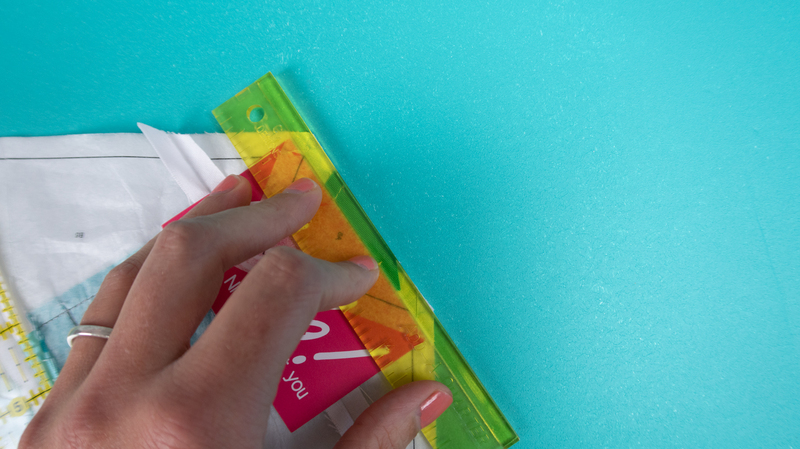 Store the paper templates in a zip bag or an envelope so you can reuse them when you want to make a second block or want to remake your projects in the future. I love to use tea bag paper for paper piecing. It’s thin, it’s strong, it’s see through. I LOVE it. You can even tape it to a piece of printing paper to print a pattern directly on the teabag paper. But are you on a budget? Then there is no need for special paper at all. You can just as well start out with normal printing paper to give paper piecing a try. 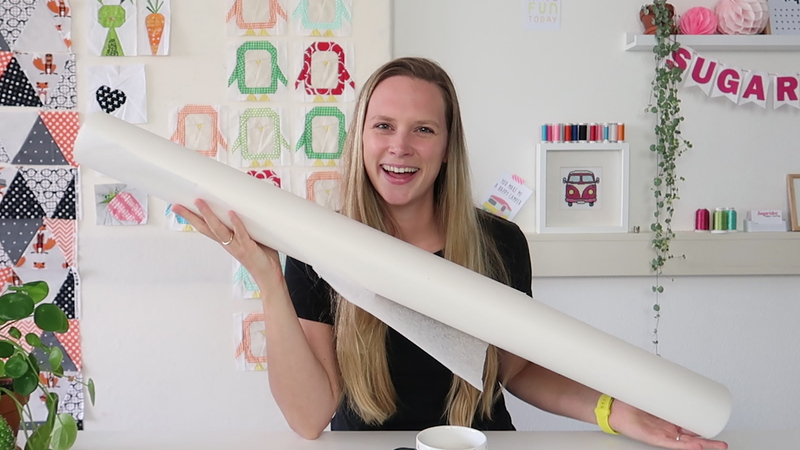 Learn more about paper piecing paper in <this video> where I compare five different types of paper. When you’ve cut your paper templates and your fabrics, and you’ve transferred your pattern on to paper piecing paper you’re ready to go. 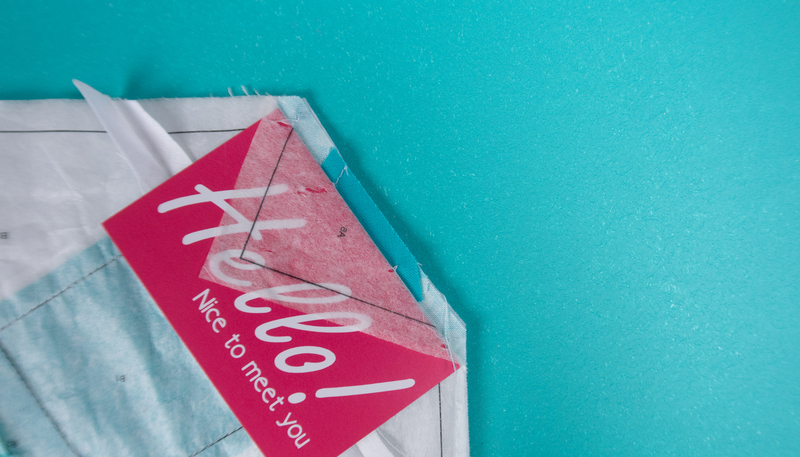 And that’s where my all time favorite tool comes in to play: a postcard or a business card. We all have a few of those lying around right? I use them to fold my paper before cutting my fabric on a 1/4inch seam allowance. I use a card here because you can lay it on the fold line before you fold the paper. 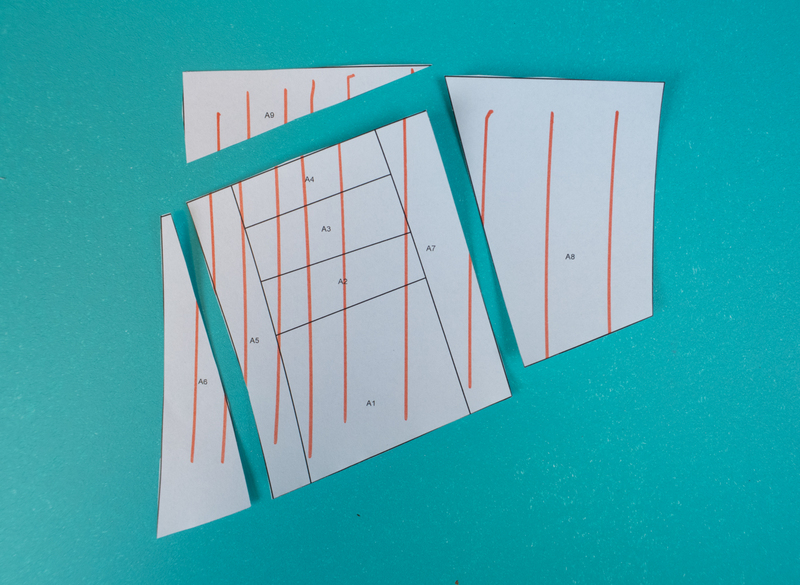 When you fold the paper, you can’t see the fold line anymore, so using a card will help you to place the fold more precise. What are your favorite quilting tools? Did you miss anything in my list of favorite things? Would love to read about it in the comments below. Yes! You just finished a beautiful quilt top. All you have to do now is baste it and quilt it, so you can turn your UFO (UnFinished Object) into an AFO (Awesome Finished Object). 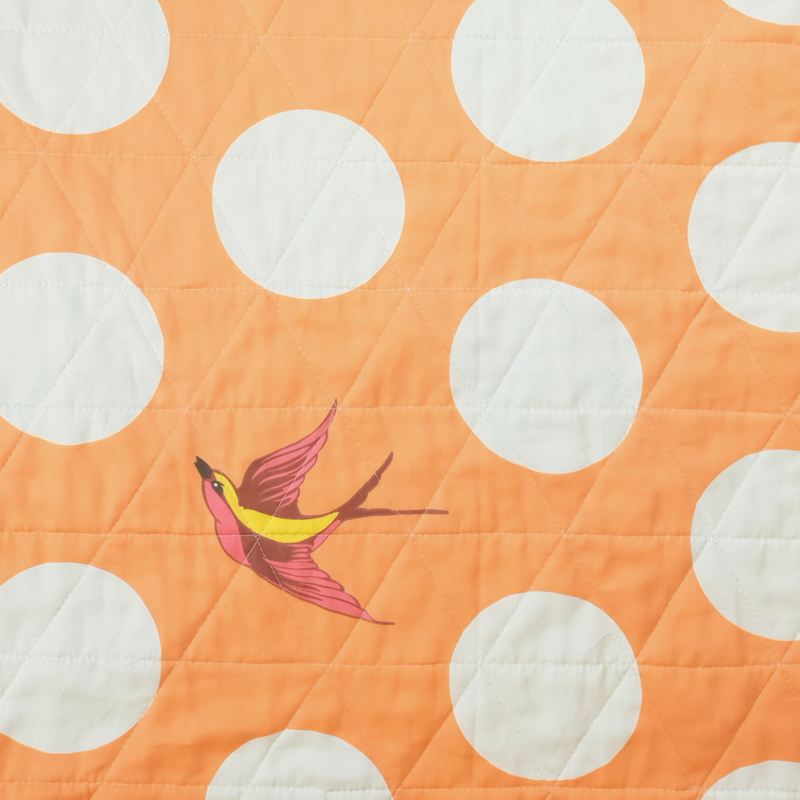 ‘Just’ pick a quilt design and get started. Does this stage make you a little bit uncomfortable? Do you want to put your quilt top on your pile of nearly finished projects and just think about it for a little longer? You’re not alone! I’ve heard so many people hesitate to finish their quilts because they can’t decide on a quilt design. So, I decided to make a video on it. Not that I am the expert. Not even close. Did you see the video where I show my 364 WIP’s? BUT, I do think I’m getting better on quilting my quilts. Best thing: I’m spending less and less pondering over which quilt design to choose for years before I finish my quilts. Wanna become a master in finishing those quilts? Grab your copy of my free ebook and check out the video below for my five step master plan. STEP 1: Take a good look at your quilt top. Are there any clues in there? Maybe it is a big design which would work well with a smaller overall quilt pattern. Maybe there are shapes in your design around which you can echo with straight lines? Maybe your quilt top is made from squares so you can stitch in the ditch or stitch just beside the ditch. 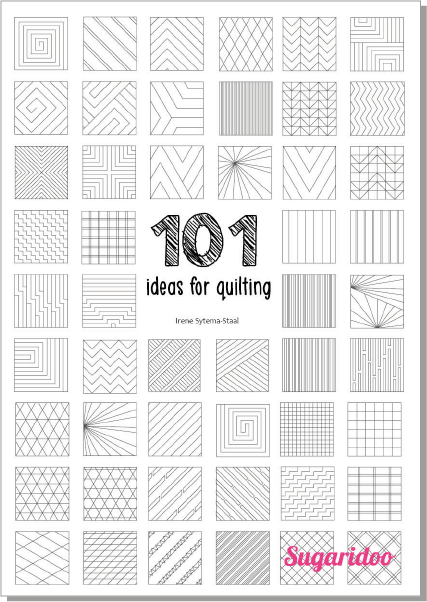 STEP 2: Go through the 101 ideas for quilting ebook with your quilt top in mind and see if there are designs that resonate with you. That call your name. Step 3: The most important step. Make a choice. Just pick a design. 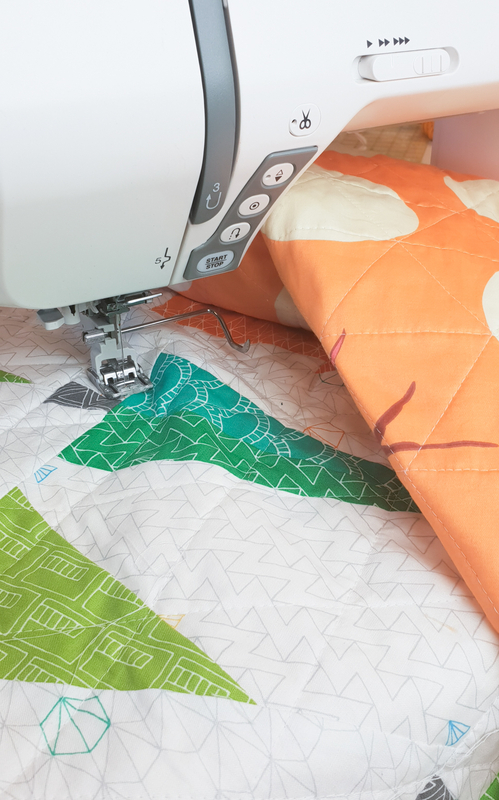 The moment you decide, you can finally start quilting your quilt. STEP 4: Go quilt your quilt. 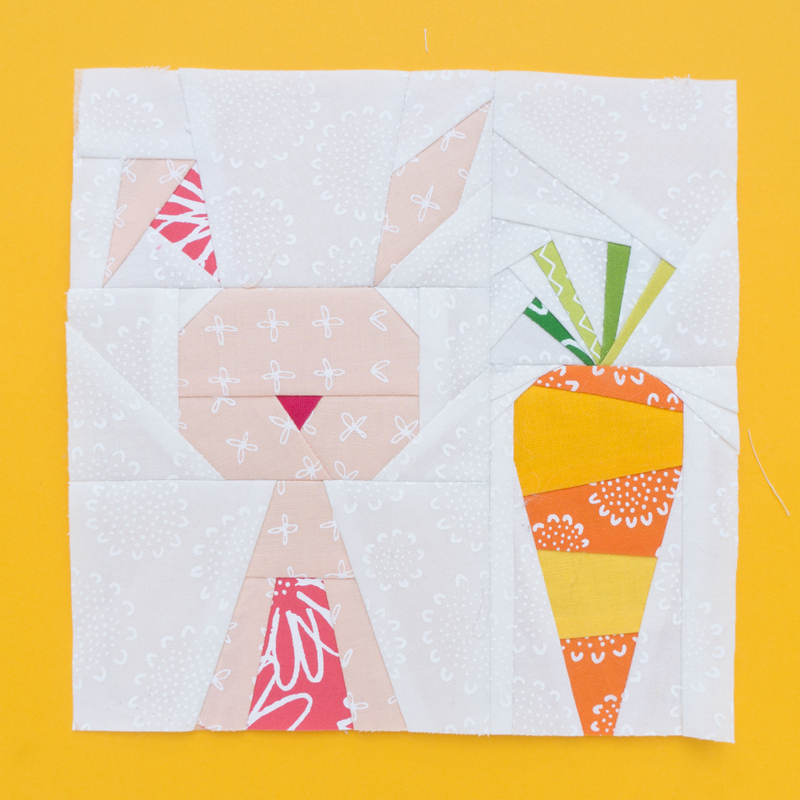 Hop behind your sewing machine, grab some thread and start quilting. STEP 5: Might sound like a weird step, but I love this one. When your half way through quilting your quilt. Don’t hesitate and finish it! Don’t have second thoughts on your choice. 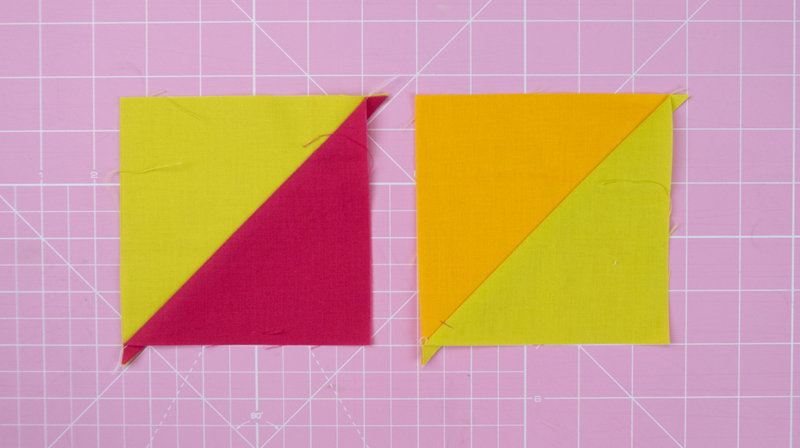 The only way to get better at quilting, at picking quilt designs, is by doing. So go and practice. Finish a quilt so you can start a new project. Done is so much batter than perfect! Well okay, maybe that was the not so very short version. But that’s it. No rocket science right? There is no better feeling than to get your machine running and finish some quilts if you ask me.